“Japanese notebooks are pen friendly and there are so many types of paper. I want to get more knowledge about them.” This product was born from such a conversation with a friend abroad. 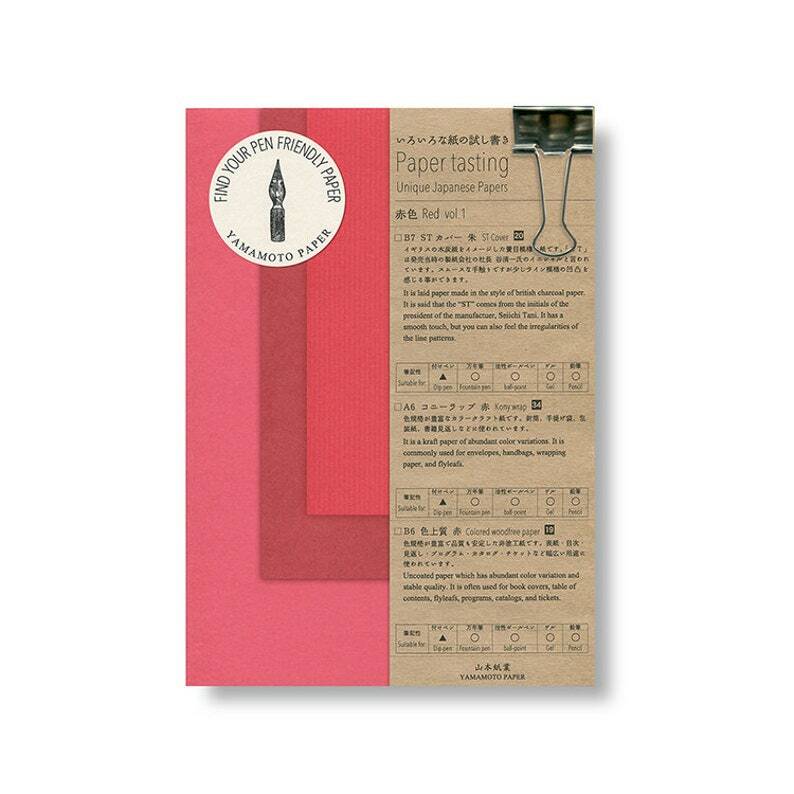 Paper Tasting is a test writing pad to enjoy writing comfort. Like wine tasting, you can try various kinds of paper and find your favorite pen friendly paper. Also these products are packaged with paper description and paper classification table so that you can know more deeply about paper made in Japan. Just like hearing a lot of knowledge from wine sommelier. We are planing to continue the series in the future and going to provide even deeper knowledge through it. It is laid paper made in the style of british charcoal paper. It is said that the “ST” comes from the initials of the president of the manufactuer, Seiichi Tani. It has a smooth touch, but you can also feel the irregularities of the line patterns. It is a kraft paper of abundant color variations. It is commonly used for envelopes, handbags, wrapping paper, and book of flyleafs. Uncoated paper which has abundant color variation and stable quality. It is often used for book covers, table of contents, book of flyleafs, programs, catalogs, and tickets. Very nice thank you. Merci.